Bitzios Consulting developed an integrated active transport strategy for Newcastle City Centre. The Newcastle Light Rail Review of Environmental Factors (REF) confirmed the need for the project and outlined its key impacts and the associated mitigation measures to address these impacts. Specifically, the REF identified that an “Active Transport Strategy” should be prepared. Bitzios Consulting developed the integrated active transport strategy, for Transport for New South Wales, and nominated elements of the strategy to implement. 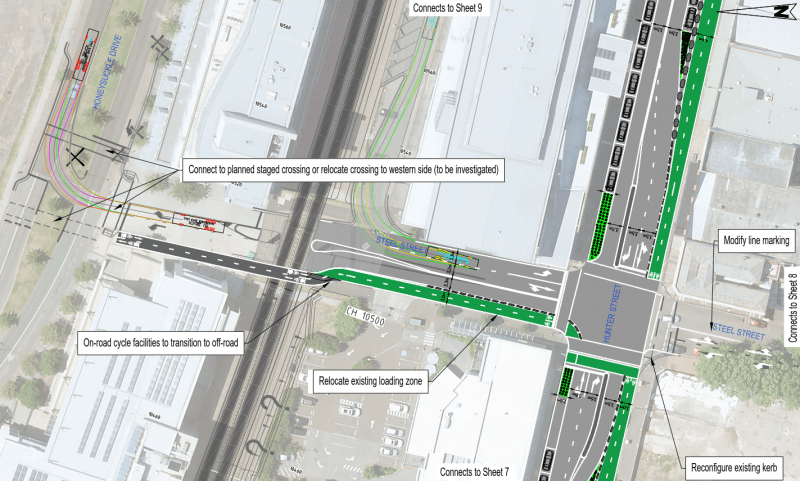 The strategy provided a cycleway network for the study area that integrates with external cycleway networks and other transport improvements whilst capitalising on a changing streetscape brought about by the Newcastle Urban Transport and Transport Program.